Classes of membership: Ordinary £12 per annum. Honorary - nil. Archive collection: Contact the secretary. Artefact collection: Contact the secretary. or access controlled: Kelly Mine. Leased. Last updated: 13/06/2018	 The Kelly mine lies close to the village of Lustleigh within and on the east side of the Dartmoor National Park. The mine was first referred to in 1797 as a mine of 'black lead' and other substances. In reality the 'black lead' was micaceous haematite. 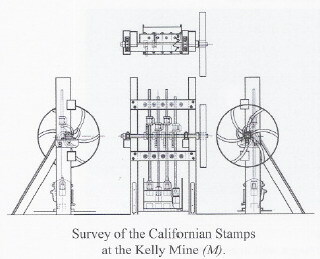 The site retains a variety of features ranging from a Blackstone oil engine, Californian stamps, ore drying furnace and blacksmith shop. The restoration work is divided up into projects that are allocated to groups and individuals.